Elizabeth Sass Brunner and Elizabeth Brunner, the Hungarian mother daughter duo came to India in 1930 in search of a new path in life and played a very special role in the arts of life as also the universe of Indian paintings. Attracted by the wonders and spirit of India, the Brunners travelled across the country, painted landscapes, mountains, forests, monuments and people, capturing them all in their canvas. They were received by Rabindranath Tagore, several Maharajas and prominent Indian statesmen. They made paintings of Mahatma Gandhi, Sarojini Naidu, Jawaharlal Nehru, Indira Gandhi etc. and organised a series of exhibitions in different parts of India. 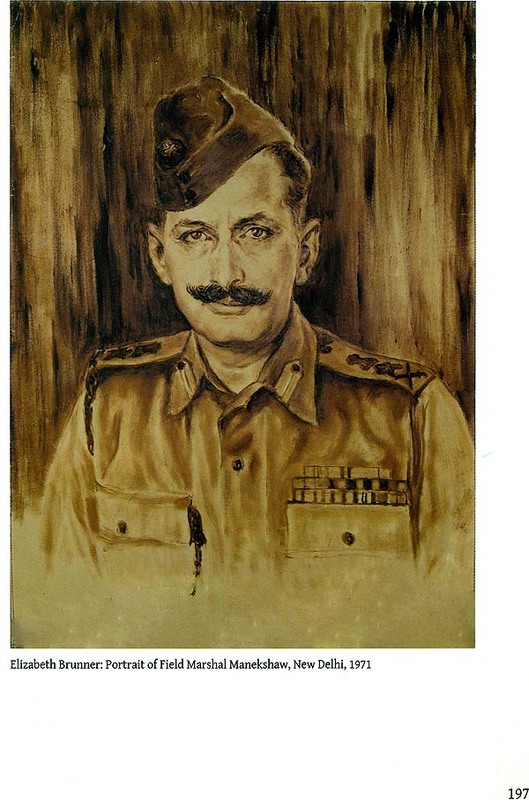 The life work of the Brunners comprises Z500 paintings and the Indira Gandhi National Centre for the Arts (IGNCA) is a recipient of over 800 paintings out of them. The paintings were handed over to the IGNCA after the death of Elizabeth Brunner. The paintings are preserved in the Cultural Archives of the IGNCA and have been photographed, catalogued and put on the IGNCA website. They have been exhibited on several occasions, the most recent being the one in the IGNCA in 2007, titled The Dreams in Italy. The IGNCA is working on the final stages of compiling a CD-ROM with digital images of the life and works of the Brunners. The Brunners played a key role in bringing together art and culture of India and Hungary. 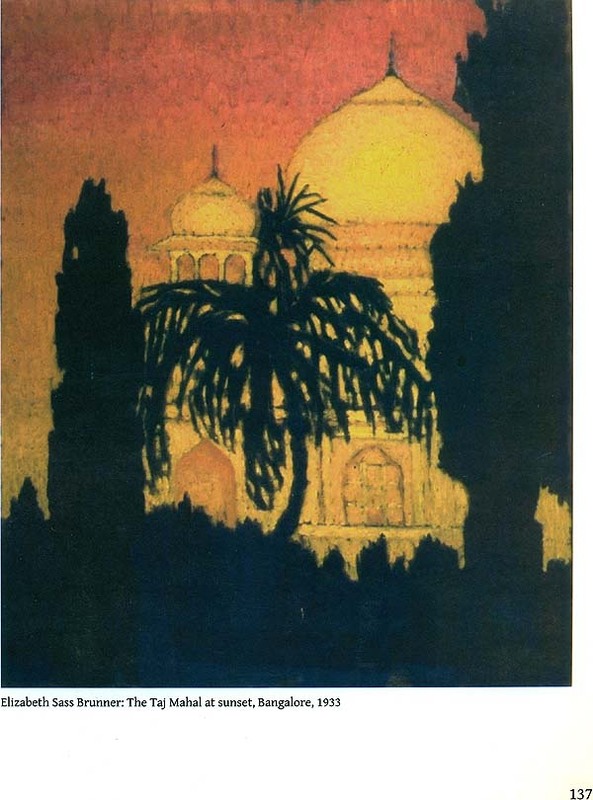 This exhibition titled The Call of India - Paintings by Elizabeth Sass Brunner and Elizabeth Brunner, is a journey of the Brunners from Hungary, through Italy to India, Japan and America. The IGNCA gratefully acknowledge the cooperation received from the Hungarian Information and Cultural Centre, its Director Dr. Imre Lazar and his staff in organising this exhibition as part of the Birth Centenary celebration of Elizabeth Brunner. 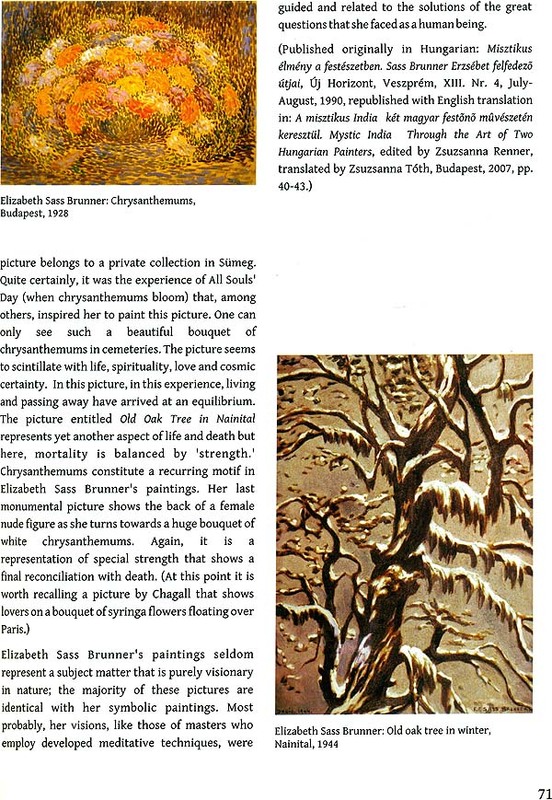 The art of Elizabeth Sass Brunner and her daughter, Elizabeth Brunner represent a unique chapter in the history of twentieth century art both in Hungary and in India. Both artists were of extraordinary talent and of unique spiritual vision. Born in Hungary, Nagykanizsa, they started their artistic career there, perceiving the most important artistic trends of that time in Europe. However, in 1929, urged by an irresistible inner impulse, they set for a journey, to seek further spiritual inspiration. They found their new home in India and spent almost their entire lifetime here. The Hungarian roots, the European artistic influences and the Indian spiritualism have formed a unique synthesis in their art. The Brunners travelled throughout India and studied the life of the people in an endeavour to capture the atmosphere and colour which forms the background of Indian life and thought. They traversed the length and breadth of India to see and study the composite elements which made India so different from other countries. They climbed the Himalayas to catch the inspiration of those lofty mountains, then they decended among the great masses and saw how their philosophy was nurtured by their environment. Both mother and daughter became respected figures of Indian artistic life. The art of Elizabeth Sass Brunner - chiefly her landscapes and spiritual paintings - blossomed in India where she died in 1950. The art of her daughter, Elizabeth Brunner also imbibed Indian tradition. She studied in Santiniketan where she was influenced by the Bengal School of Painting. 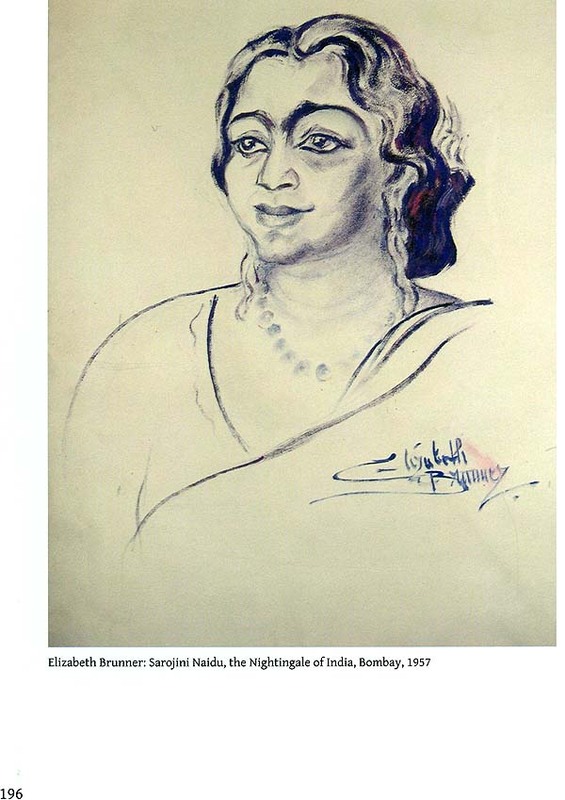 After the death of her mother, Elizabeth Brunner lived in Delhi and painted the portraits of all the major Indian personalities of the last century. She was involved in the Buddha jayanti celebrations in 1956 and went for a pilgrimage tour to visit and paint the holy shrines of Buddhism in India, Nepal, Myanmar (Burma), Sri Lanka and Thailand. She exhibited these paintings together with her mother's Buddhist paintings at a series of exhibitions. Though the Brunners left Hungary obeying an irresistible spiritual urge, they always remembered their European homeland with love and devotion. Even far away from their birthplace, in India and Japan they depicted Hungarian landscapes, portraits of Hungarian national heroes. Between the two world Wars, the citizens of their hometown Nagykanizsa and the art lovers of the country witnessed with pride and happiness the successes of the two world-trotter Hungarian artists. Exhibitions from their paintings sent home from different parts of the world met with immense success. A popular novel Fire of Bengal by Rozsa G. Hajnoczi, the wife of Prof. Gyula Germanus became very popular. The book is a detailed chronicle of their years spent in Santiniketan, including their encounter with the Brunners there. After World War II, in the late 1940s and 50s cultural contacts of India and Hungary started to be heavily burdened by ideology. The doctrinal attitudes of Hungarian communist leaders did not favour "idealist" artists seeking spirituality. Indian philosophy - mainly yoga - was glanced with suspicion and expelled from co-operation. During the early years of communism even Tagore was condemned and deliberately forgotten in Hungary since his ideology did not fit into the framework of dialectical and historical materialism. 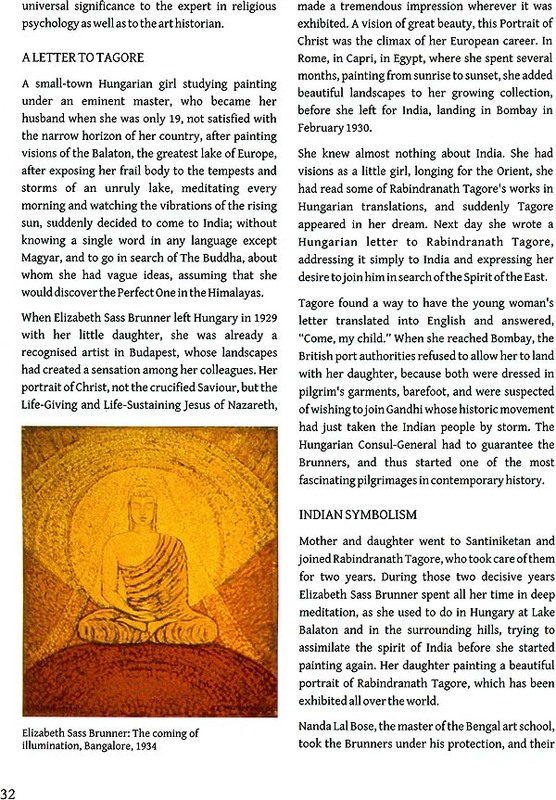 Official Hungary did not seek contacts with Elizabeth Brunner, who by that time became a celebrated painter in India. The Hungarian government's attitude towards "dissidents" as they called Hungarians living abroad was quite hostile, forbidding any Hungarian institutions or embassies to build contacts with them. Partly because of this general suspicion towards "dissidents," partly because of the mystic and Buddhist religious character of her works, the Hungarian Embassy refrained from approaching Elizabeth Brunner. The gates that were totally blocked opened up only gradually with the softening of ideological pressure. It was, however, only in the 1970s that the official attitude changed towards the Brunners. The ice broke when Prime Minister Indira Gandhi visited Hungary in 1972 and donated paintings by Elizabeth Sass Brunner and Elizabeth Brunner to the Hungarian National Gallery, Budapest and the Museum of Nagykanizsa. The late 1970s brought a bloom in art contacts between India and Hungary. Regular exhibitions of highest standard artists were organised under the CEP in both countries. After opening of Hungarian Information and Cultural Centre in New Delhi in 1978, a new and prestigious art gallery gave place to a vast number of exhibitions of different genres. This was the time of rediscovery of common artistic heritage of the two countries, exhibiting the pioneer of modern Indian art, the Indo-Hungarian Amrita Sher-Gil and restoring the contacts of the homeland with Elizabeth Brunner. It was Ambassador Janos Vertes who re-established contacts of the homeland with the renowned painter. It became the task of the newly opened Hungarian Centre to involve the then 68 years old painter into Indo-Hungarian cultural diplomacy. Besides the above-mentioned reconsideration of the homeland's policy towards expatriate Hungarians, and the acknowledgement of her obvious artistic merits, the change in the official attitude towards Elizabeth Brunner was definitely influenced by the fact that she maintained very good relations with the political elite of India. From that time onwards the Hungarian Information and Cultural Centre has always considered it one of its most important tasks to preserve the memory of the Brunners and to popularise their art. The Centre has organised more than twelve thematic Brunner exhibitions in New Delhi so far from the rich harvest of their life- work, and took part in the publication of several books and catalogues on them and organised several commemorative functions dedicated to their memory. In 1978 and in 1979, two comprehensive exhibitions presented their life- work. 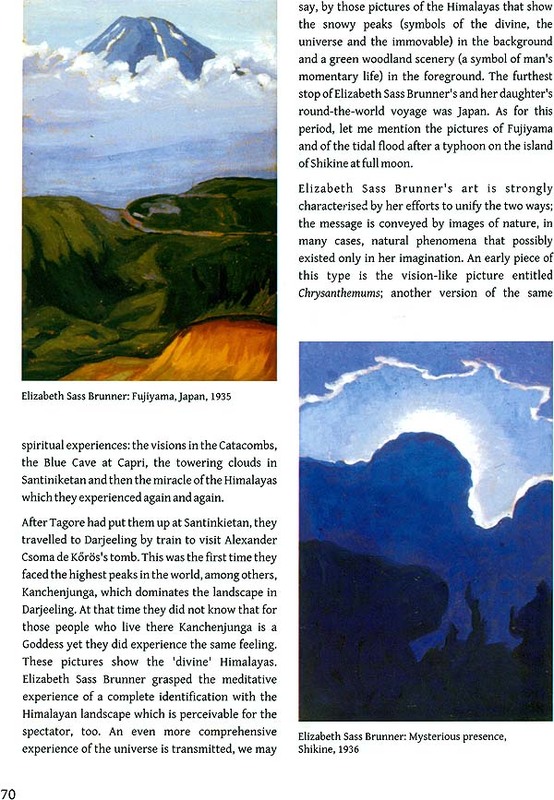 The first publication of the HICC was a nice art book A Painter's Pilgrimage: Elizabeth Brunner's Buddhist Paintings. Next year, in January 1979, the first exhibition of paintings by Elizabeth Sass Brunner and Elizabeth Brunner organised by HICC entitled A Vision of India was opened by Ambassador Janos Vertes and Minister of Education, Social Welfare and Culture of India P.C. Chunder. At the same time, a beautiful book with the same title on the art of Elizabeth Sass Brunner and Elizabeth Brunner was also released. This artistic show was followed in the coming years by several further thematic exhibitions selected from the rich oeuvre of the two Hungarian artists, like My India in December of the same year and a retrospective exhibition of paintings by the Brunners organised jointly by ICCR and the Hungarian Embassy at Lalit Kala Akademi in May 1984. This latter exhibition was attended by Prime Minister Indira Gandhi, just a few months before her assassination. 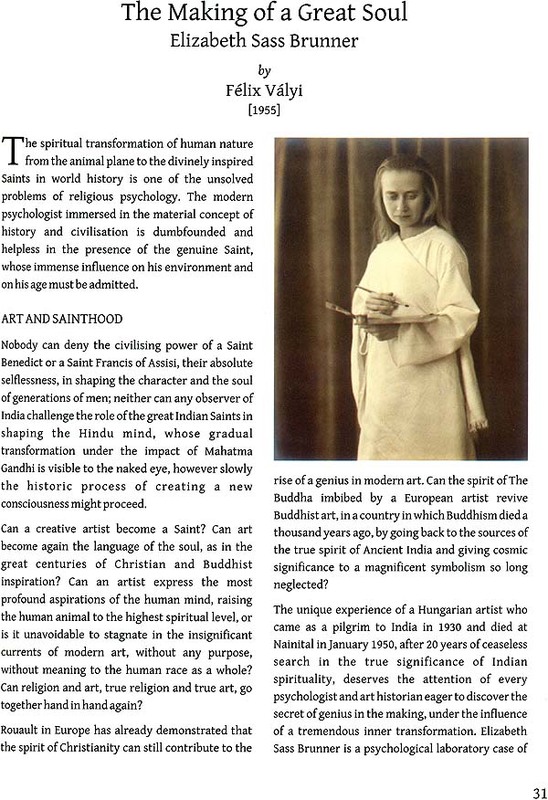 The series of exhibitions continued in 1989 with the one commemorating Elizabeth Sass Brunner's Birth Centenary, Guided by a Vision in 1991, Devotion of the Soul in 1993, Eternal Challenge in 1994, Gurudev and Santiniketan and The Soul of Japan in 1995, Architects of Freedom in 1997, On the Path of Enlightenment in 1999 and Dreams and Visions the last in the lifetime of Elizabeth Brunner in 2000. The series of exhibitions organised by the Hungarian Centre continued in 2006 with the memorial exhibition Light Breaking Through and followed with Dreams in Italy in 2007, From Soul to Soul in 2008 and Infinite journey in 2010. As a noble gesture towards the homeland, Elizabeth donated several times collections of their paintings to Hungary. Besides the donation handed over by Indira Gandhi as mentioned before, Elizabeth Brunner donated further paintings to the Museum of Nagykanizsa and to other art collections in Hungary in 1988 and 1997. To acknowledge these treasures, in 1997, a permanent Brunner- exhibition was opened in their native town. Elizabeth Brunner received prestigious state awards in both India and Hungary as a sign of appreciation of both nations. In 1985 she was conferred with the Padmashri Award, in 1988 the Order of the Banner of the Hungarian People's Republic, in 1995 the Order of Merit of the Republic of Hungary, Middle Cross. The paintings of the Brunners were exhibited in several towns of Hungary, in Budapest, Nagykanizsa, Debrecen, Tihany, Balatonfured, Kecskemet and Sumeg. Elizabeth Brunner left in her will a large collection of her and her mother's paintings for the birth town Nagykanizsa and for the Hopp Ferenc Museum of Eastern Asiatic Art, Budapest. The Brunners found the fulfilment of their art and spiritual quest in India, and have also become strong bonds between the two countries. Their life and art emerged from Hungarian soil and sprung into blossom under the Indian sun. Christ, Shiva and the Buddha appear in their paintings as sources of Eternal Inspiration, a victory over cruelty and illusion. This exhibition commemorating the Birth Centenary of Elizabeth Brunner is organised by the Indira Gandhi National Centre for the Arts in cooperation with the Hungarian Information and Cultural Centre from paintings by Elizabeth Sass Brunner and her daughter, Elizabeth Brunner. 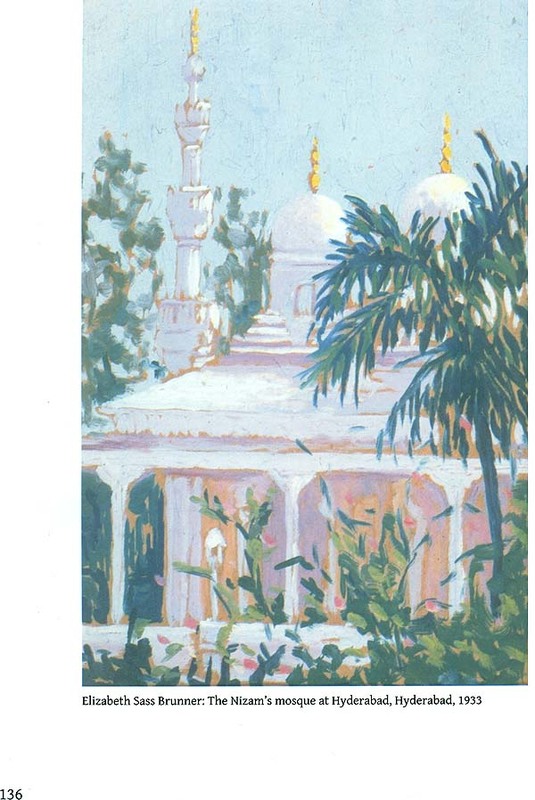 All the paintings are from the Cultural Archives of IGNCA, that has the largest collection of Brunner paintings, photographs and documents of these two artists in India. These paintings are results of several years' pilgrimage, during which they were absorbed in artistic studies and constant search of philosophical questions of existence and meaning of human endeavours. The exhibition documents the life-journey of the Brunners from Hungary, through Italy to India, to Japan and America. Rural scenes and holy places from Santiniketan, Rajasthan, Kashmir, Hyderabad, Bangalore, Baroda, Nainital, and New Delhi, and portraits of famous Indian statesmen and Buddhist paintings are also on display. The onlooker will experience the journey through the various destinations of the lives of the Brunners. I wish to express my sincere thanks and gratitude to the Indira Gandhi National Centre for the Arts for providing this great opportunity to open a vast part of their precious collection to the public through this exhibition. I am especially grateful to Prof. Jyotindra Iain, Member Secretary, Prof. Archana Shastri, Head of Dept. of Kaladarshan, Dr. Anamika Biswas, Programme Director, Mr. P. Jha, Director, Cultural Informatics, Dr. Advaitavadini Kaul, Editor of KaIakosa, Mr. Achal Pandya, Head of Dept. Cultural Archives and Conservation and Ms. Himani Pande, Deputy Archivist of the Cultural Archives of IGNCA. Without their love and devotion to the Brunners' art this exhibition, and the due celebration of Elizabeth Brunner's Birth Centenary could not have taken place.